Companies and business owners in the trucking industry can experience unforeseen costs and hassle when their semi-truck or trailer is involved in a collision. 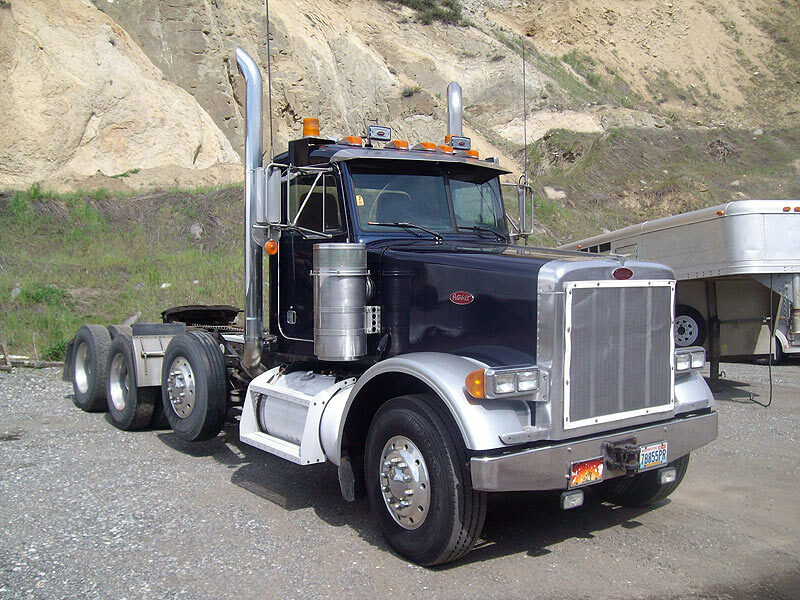 Interstate Auto Body and Truck provides semi-truck collision repair and painting services within the Wenatchee Valley and surrounding areas. 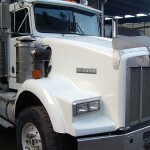 After a semi-truck is damaged in an accident or collision with other vehicles, the owner of the truck can have it towed directly to Interstate Autobody for collision repair and painting services. 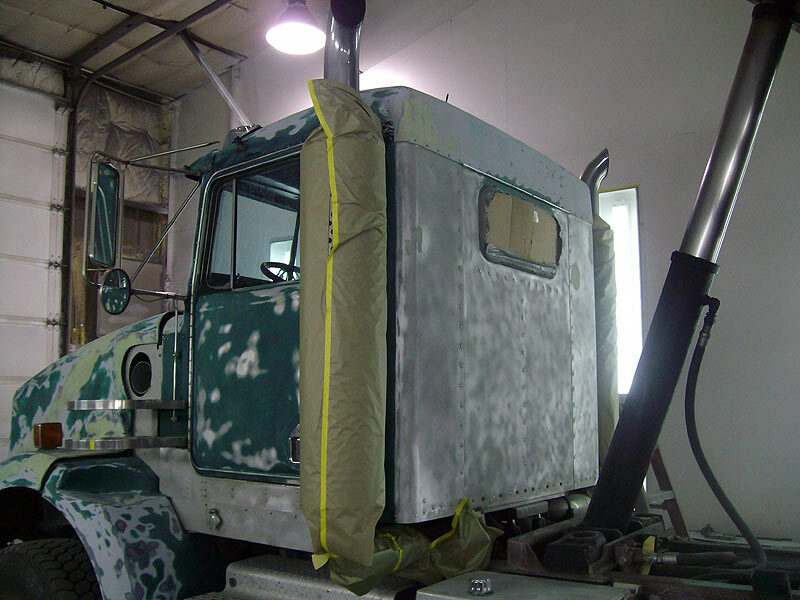 We also provide repair and painting for semi-truck trailers in our large repair facility in Cashmere, Washington. 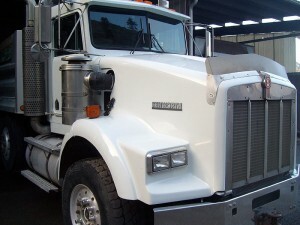 Interstate Auto Body and Truck offers these semi-truck repair in Wenatchee and painting services for large trucking companies and entrepreneur truckers, alike. 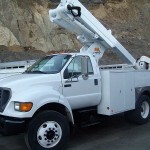 Our work has involved everything from minor truck damage and touch-up painting to extensive jobs for entire fleets of trucks. 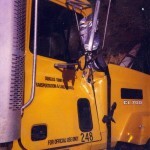 We can handle anything from cement trucks to buses. 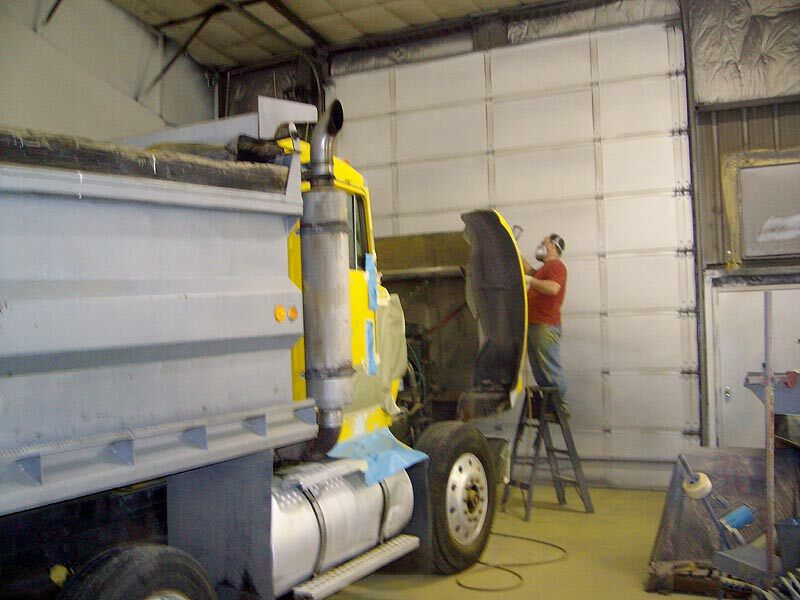 Our conveniently located facility includes a massive, 60-foot paint booth. 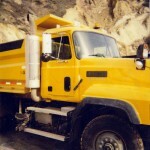 It is the largest in the Wenatchee Valley, and allows us to work on a wide variety of jobs and equipment sizes. The doors to the booth offer a 17-foot clearance for larger vehicles (which is a higher clearance than normally allotted on bridges throughout the state). 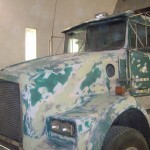 In addition to semi-truck collision repair and semi-truck painting, we can provide equipment sandblasting and painting. 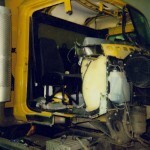 Our technicians have expertly completed sandblasting and painting for bulldozers, excavators, farm machinery, and more. 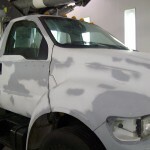 Interstate Autobody and Truck has a team of technicians who have more than 50 years experience in large truck and auto body collision repair and painting. 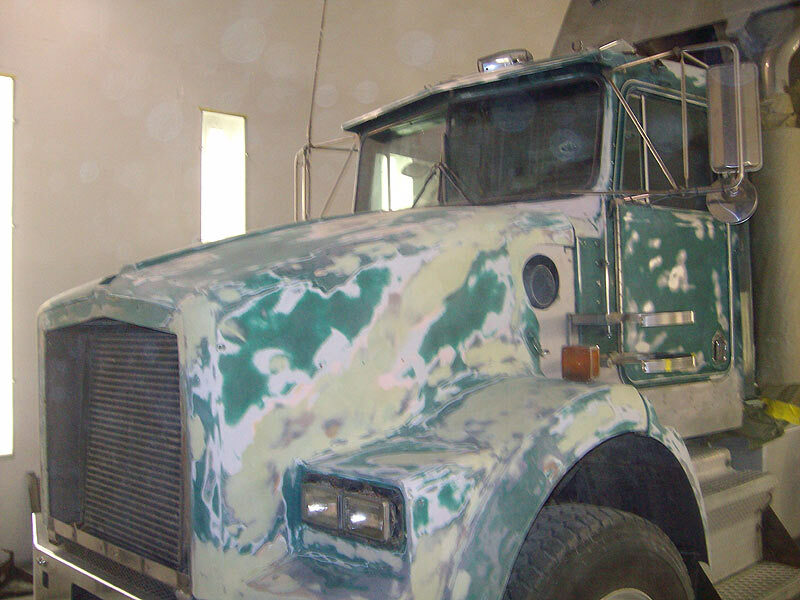 Contact us to learn more about our semi-truck collision repair and painting services, or to request a quote for your job! 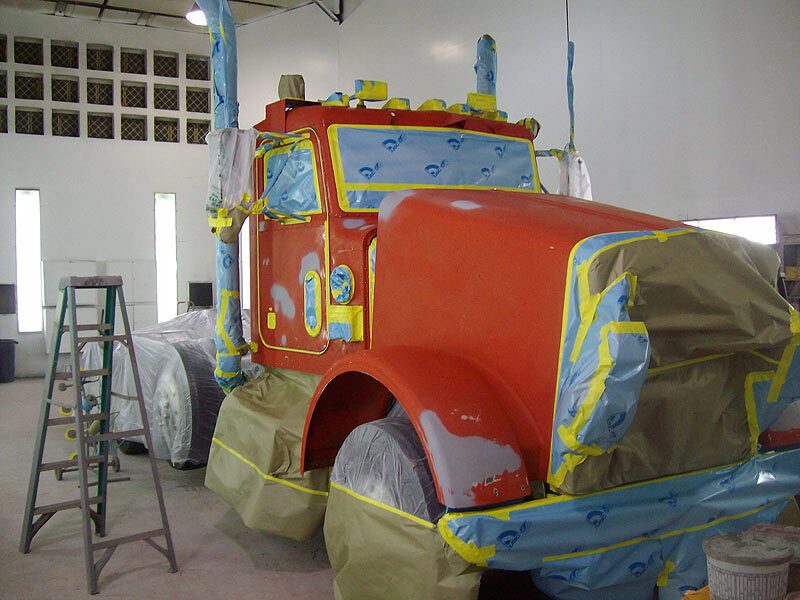 We can handle all types of paint and body work including fiberglass repair for big trucks – semi-trucks – large trucks, buses, tractor trailers, commercial vehicles, fleet vehicles and earth moving equipment. We have the experience and equipment needed to complete any body and paint work quickly and on budget. 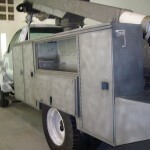 We have a large 60 ft paint booth necessary to handle all body and paint work on any size truck. 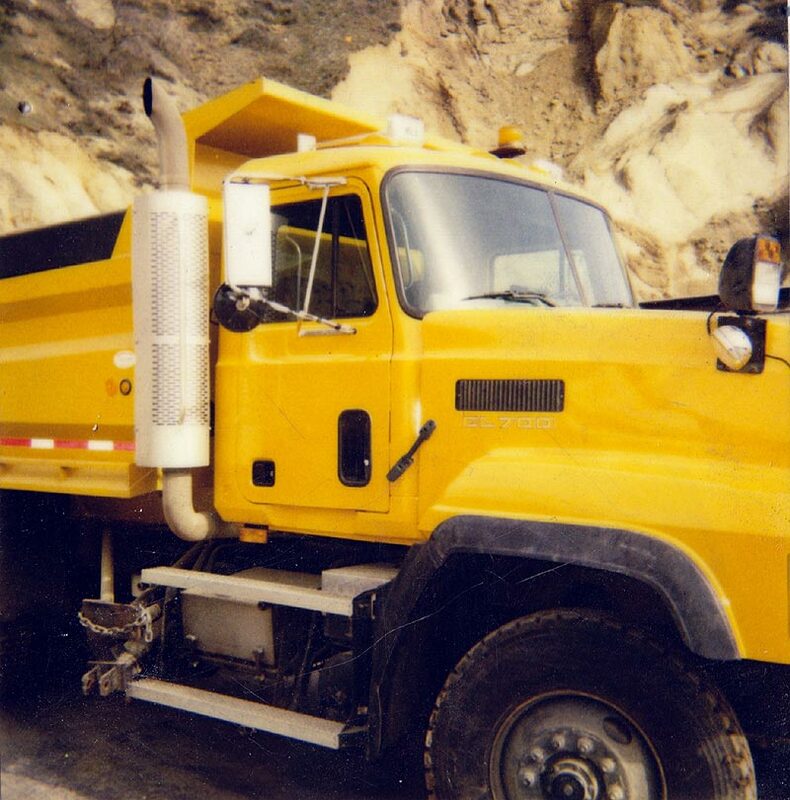 Top photo – Total tractor-trailer repaint for Central Washington Concrete – perhaps you have seen it driving around the valley? 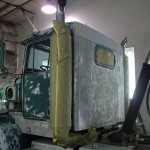 Second row of photos above are of a Kenworth dump truck in our paint booth. 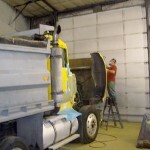 The dump bed was raised during body and paint work and there is room to spare. 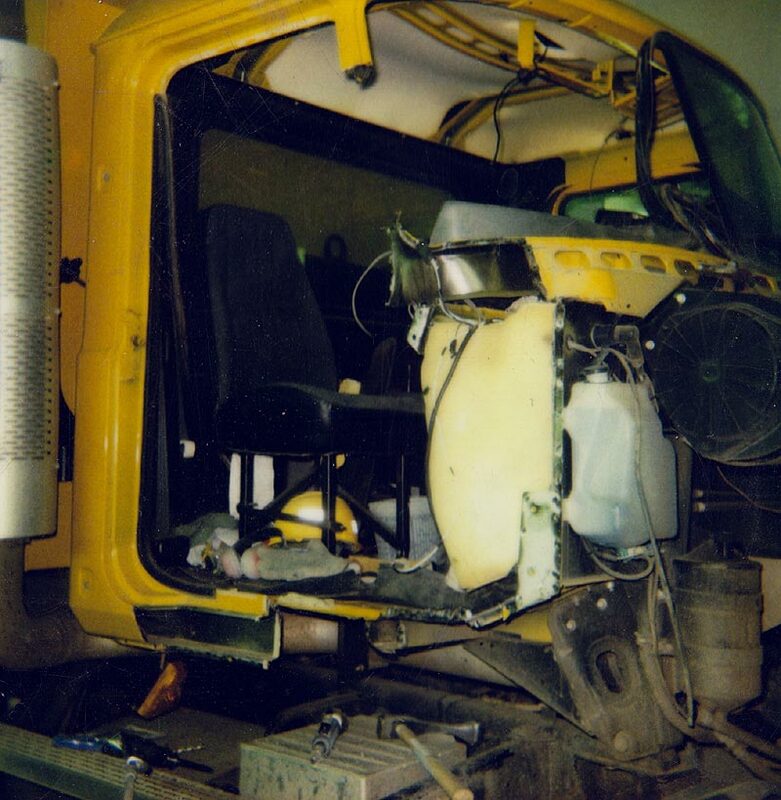 The second row from top – large dump truck cab damage and repair – we removed the damaged section of the cab and replaced it with a new cab section. 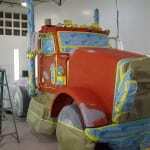 Third row – Peterbilt semi-truck repaint work. Bottom row is a boom truck in for repaint work. 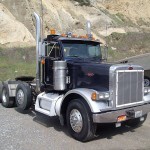 Call us and lets talk about your large commercial truck body work or paint needs.